Imagine this: You walk down the aisle of a store and your phone reminds you that you are low on olive oil, paper towels, and almonds and proceeds to tell you where these products can be found within the store. This is just a taste of what is possible with beacons. If you are in the world of retail, you need to know about beacons. Simply put, beacons allow you to communicate with customers in your store in real time. 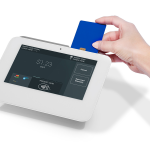 Before we dive into the details on this topic, we also suggest you check out LightSpeed, our recommended POS software. Visit LightSpeed to learn more. Beacons are small devices you place strategically throughout your store. A beacon works almost like a camera, except instead of “seeing” you, it “feels” your presence, or at least the presence that your phone broadcasts all the time. Beacons communicate with each other, with your point of sale system or other computer with the necessary software, and with your customers by NFC (near-field communications), or more specifically, using Bluetooth technology. Your phone is always scanning for connections, as are these beacons. When a beacon senses your phone, there is certain information it can glean, such as your unique device ID, which nobody else has in the world. If you walk back in the beacon’s zone, then the platform communicating via the beacon knows that you came back into that area. Imagine being able to send a message to a customer shopping in the diaper aisle about a sale you’re having on strollers. Or, analyzing the traffic patterns within your store and realizing there is a dead spot of merchandise, which helps you change the layout to push more people through that area? What if, on Black Friday, beacons could notify you that a specific section of the store was especially crowded so you could send additional employees to help? Beacons with sensors on shelves can tell you when your inventory is low and needs to be replenished. Used properly and creatively, beacons can be command central for your employees and customer service team. Beacons have the potential to define the layout of your physical store using real data points, let you know what products sell best when placed next to others, incentivize customers to purchase specific items, etc. The possibilities are close to limitless. Beacons aren’t automatically able to communicate with customer smartphones. Customers have to download your store’s app, share their location, and have their Bluetooth turned on while they’re in your store. That means you have to make it worthwhile for customers to have the app and be willing to share information like their location with you. Perhaps you send a code word to customers with the app as they enter the store that they can use at the register for a discount. Using the information from past purchases, you could send a very targeted message to frequent customers like, “We appreciate your loyalty. Today is customer appreciation day, so enjoy 10% off your total in-store purchase.” If you only use beacon technology for self-serving purposes, customers will recognize that and turn off the app. Furthermore, keep in mind that there are only so many apps that people will keep on their phones. Don’t be the dust-gathering app. Make it exciting, keep in mind that experience is almost everything, and NEVER EVER forget to incentivize the customer with genuine messaging. Make it fun and exciting. Make it enticing. Make them want to share. A day is coming, sooner than you think, when inanimate objects like our cars, pantries, and yards will use beacons to communicate with us through our smartphones. Imagine a world in which your yard monitors moisture levels in the soil as well as the local weather forecast to determine when and how much to water. It is now just a matter of people and companies alike embracing this new level of connectivity. In short, this new revolution is deemed the Internet of Things (IoT). The big players have already come out with the first generation takes on IoT, such as Amazon’s Echo, or Google’s IoT platform, that enables tech companies to build their own IoT-specific applications and use-cases. As a nation, we are past the point of “they know everything about us”, and are moving into the realm of hyper-relevant information that can actual be useful on a day-to-day basis. No more coupons for diapers when you don’t need them, nor ads for women’s clothing when you are actually looking for a men’s size 10 shoe. This is the future of beacons and automation for retail and for life in general. Welcome to the connected world. 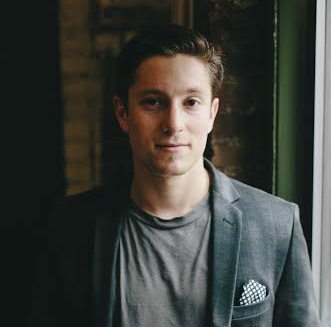 David Bozin is the VP of Business Development at Bindo, a New York based unique retail technology company with an innovative iPad POS system and soon-to-be launched online Marketplace. 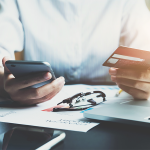 The Bindo platform makes running a local business simple, providing merchants with the ability to once again become competitive with the large e-marketplaces, whilst providing consumers with the ability to know their neighborhood and purchase locally. David focuses on new opportunities for Bindo to continue growing the company and brand and bringing local shopping to the forefront of consumers and retailers daily lives.